1. If a line parallel to one side of a triangle intersects the other two sides, then it divides those sides proportionally. 2. If 3 parallel lines intersect 2 transversals, then they divide the transversals proportionally. 3. If a ray bisects an angle of a triangle, then it divides the opposite side into segments proportional to the other two sides. I've completed the video or mini-lesson on proportional lengths and feel confident that I understand the concept. 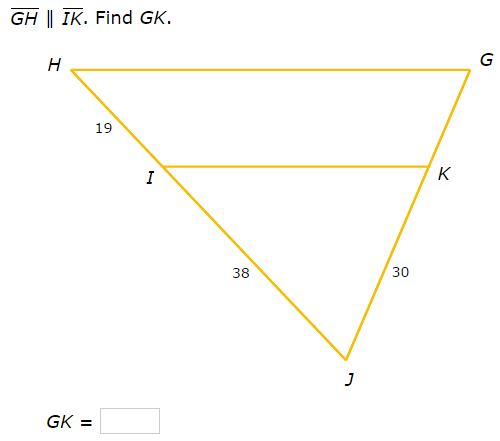 I've completed the video or mini-lesson on triangle proportionality and feel confident that I understand the concept. 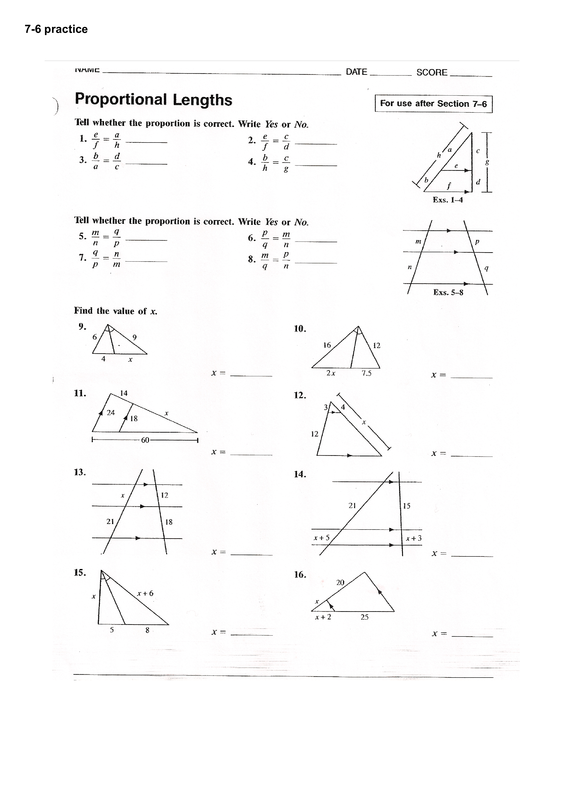 Try a few of these practice problems on finding missing lengths in similar triangles. Move on when ready. 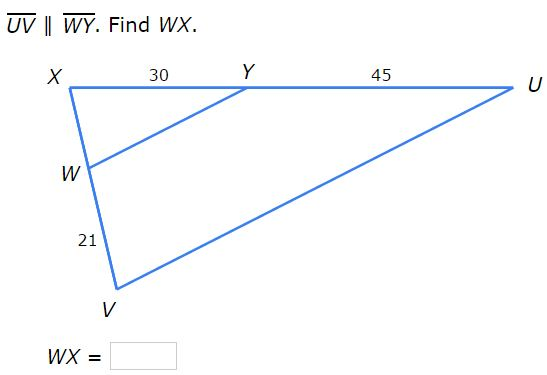 I've completed the Khan Academy practice problems on finding missing lengths in similar triangles. I've completed the video or mini-lesson on 3 parallel lines intersected by 2 transversals and feel confident that I understand the concept. I've completed the video or mini-lesson on the triangle angle-bisector theorem and feel confident that I understand the concept.